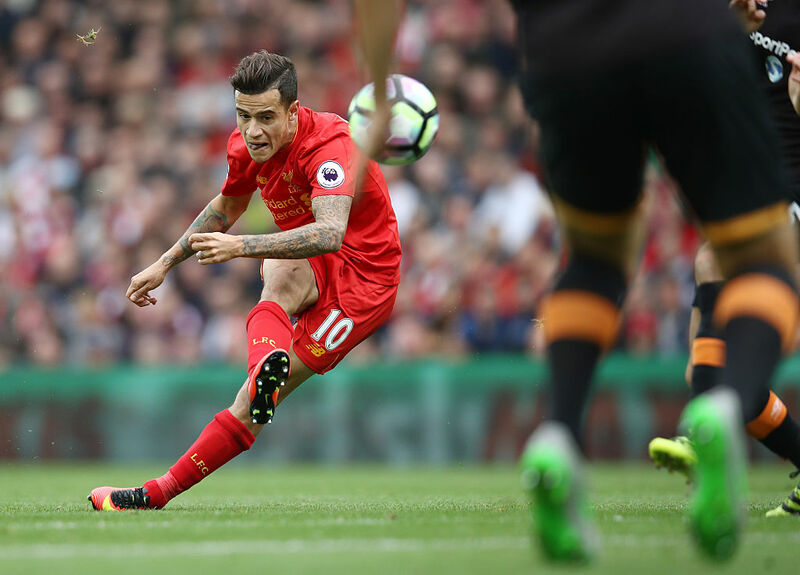 Liverpool are closing in on a new deal for Philippe Coutinho after a progressive round of talks took place with his agent, Kia Joorabchian, on Merseyside on Tuesday. Having signalled their intent to extend and improve Coutinho's current contract, Liverpool have received a positive response from the Brazilian who is settled at the club despite ongoing speculation that Barcelona would be interested in signing him. As a result, Liverpool have indicated that they would be willing to offer Coutinho a five-year deal, taking him up to 2022, that will make him one of the highest-paid players at Anfield. At present, Coutinho earns around £80,000 per week on his current agreement which is due to expire in the summer of 2020, but Liverpool want to replace that deal with one in keeping with his status as one of the Premier League's most outstanding players. If Coutinho accepts the offer as expected it is understood that his salary will almost double but the deal that is on the table does not include a buyout clause as Liverpool want to strengthen their relationship with the 24-year-old rather than potentially weaken it going forward. Jurgen Klopp is keen to see Coutinho commit his future to Liverpool at the earliest possible opportunity having spoken previously of his determination to keep the best players at the club, and negotiations are being handled by Michael Edwards, Liverpool's recently appointed sporting director. It seems increasingly unlikely that Liverpool will add to their squad before the January transfer window closes but Klopp remains hopeful that his longstanding interest in Julian Brandt, the Bayer Leverkusen winger, will bear fruit in the summer.